Sitemaps (the pages containing the maps of the website) make navigating your site easier, are an important way of communication with search engines and your visitors - having an updated sitemap (with links to it visible anywhere on site) is good both for your users and for search engines. Since the version 1.4 you have the option to generate the sitemap of the site (a snapshot of the categories and the articles) in HTML and XML formats. The component works with multilanguages Joomla sites and it uses the menus to post the links you've created to categories and single articles. 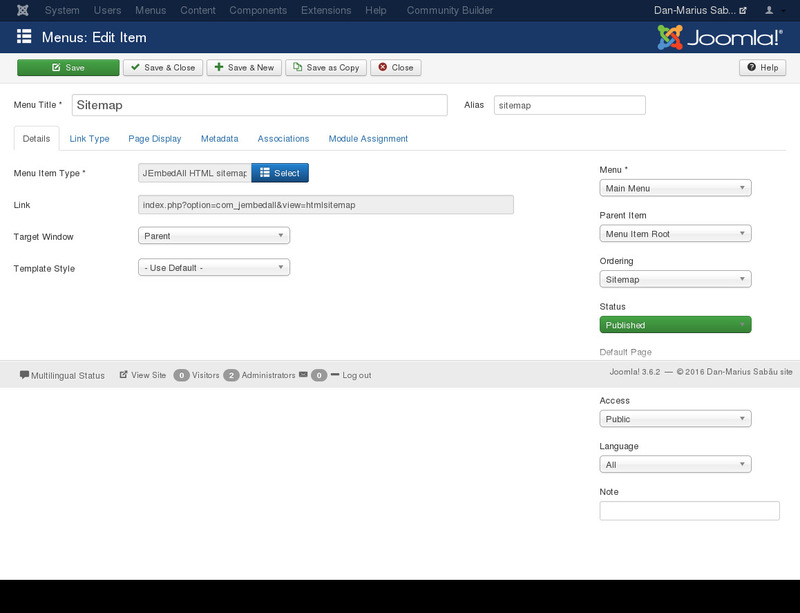 In order to configure the sitemap you log in to administrator, go to JEmbedAll configuration section and then to Sitemap. There are only 2 forms: the first one lets you set the priorities for the categories and the articles and whether you include them into the sitemaps. The second form is used to exclude some of the articles from the sitemap - in case that, from some reasons, you want that. You can add the HTML sitemap to a menu in order to be accessible by the visitors - you can do it easily by selected the JEmbedAll HTML sitemap item from the list. Anyway, the HTML sitemap is accesible directly using this link: index.php?option=com_jembedall&task=htmlsitemap. The XML sitemap is accessible using this link index.php?option=com_jembedall&task=xmlsitemap and it can be used to export the links to the search engines. But that's another story, and you can always ask for help if it's a problem you can't handle. Get the latest JEmbedAll version from here. 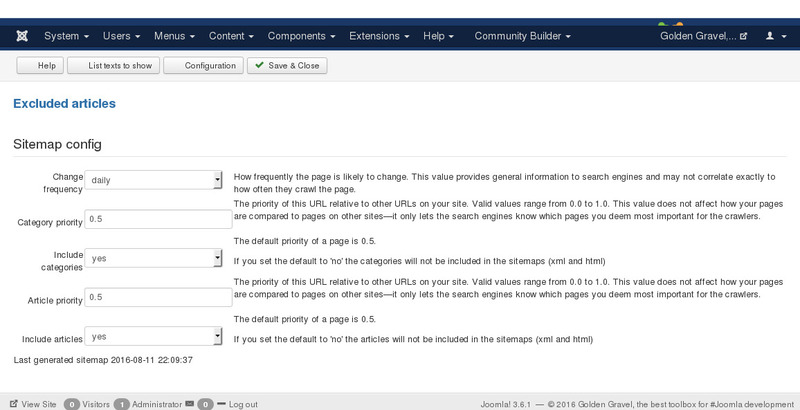 How to configure and use the sitemap generated with JEmbedAll - Golden Gravel, the best toolbox for #Joomla development: 5.0 out of 5 based on 1 reviews.